You’ll be singing in the rain with one of these little beauties. 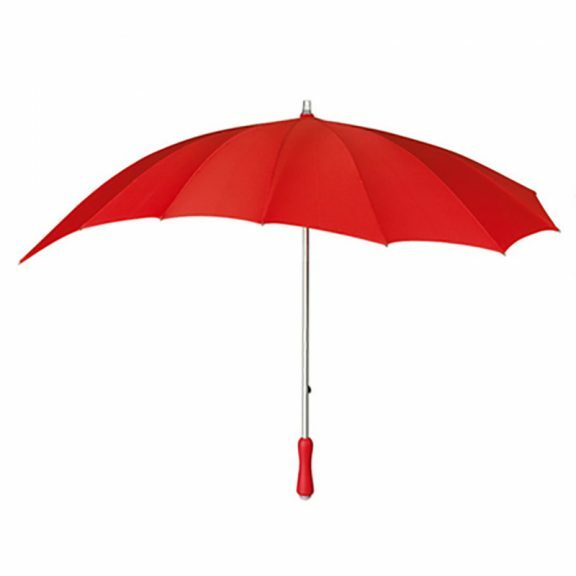 Everybody loves somebody, so why not let them know by giving them one of our very special fashion umbrellas – the red Heart Umbrella. Also perfect for Valentines Day, an anniversary or as a birthday gift. Introducing our stunningly gorgeous red Heart Umbrella. 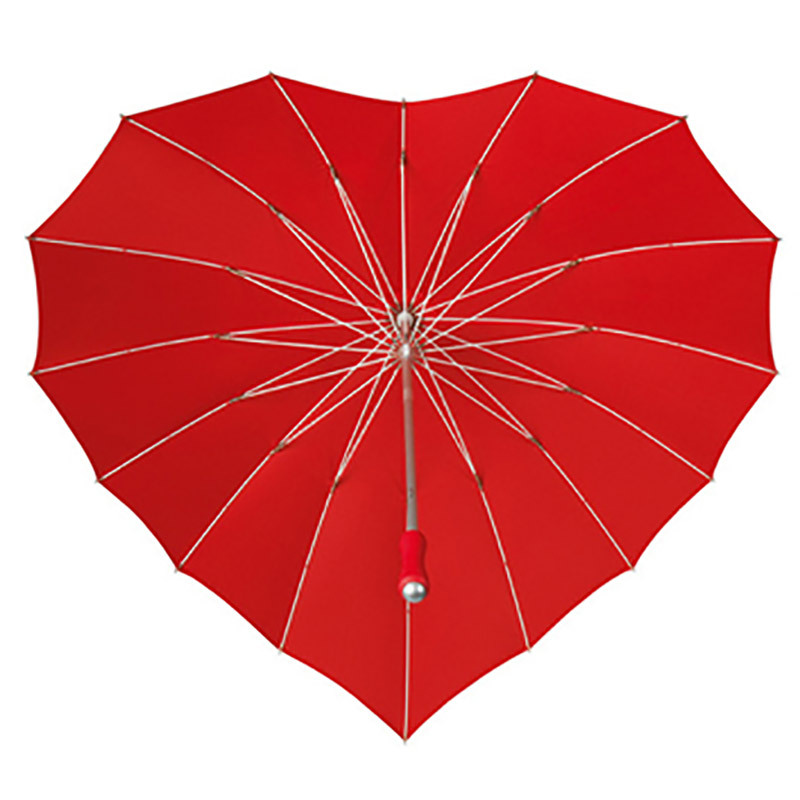 This beautiful crimson red heart shaped umbrella makes a perfect gift. Buy one for yourself as a special treat. Or as a gift of love for someone you care about. AS SEEN ON ITV’s ‘THIS MORNING’. 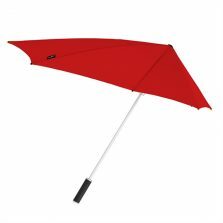 Yes, as seen on TV, the Red Heart Umbrella won first prize in an umbrella competition on the popular ITV breakfast TV show. It came first not only for it’s looks but also for it’s strength when tested in front of a wind machine. Buy your Heart Umbrella here at Umbrella Heaven and avoid cheap, inferior quality, illegal counterfeits. 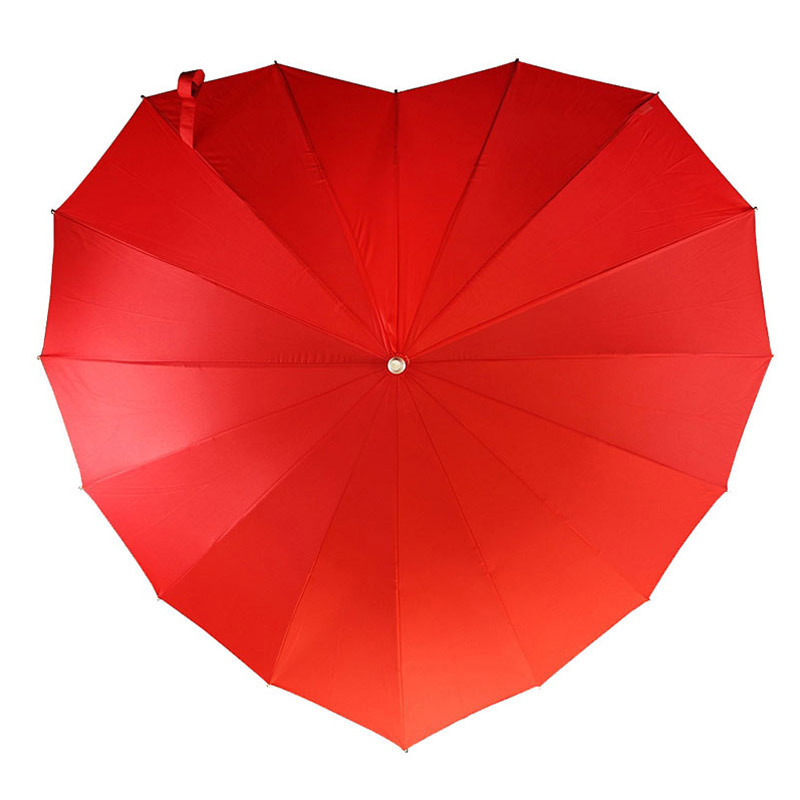 With our genuine and original heart shaped umbrella you’ll be singing in the rain. Pose for your Instagram, Facebook or Pinterest account. 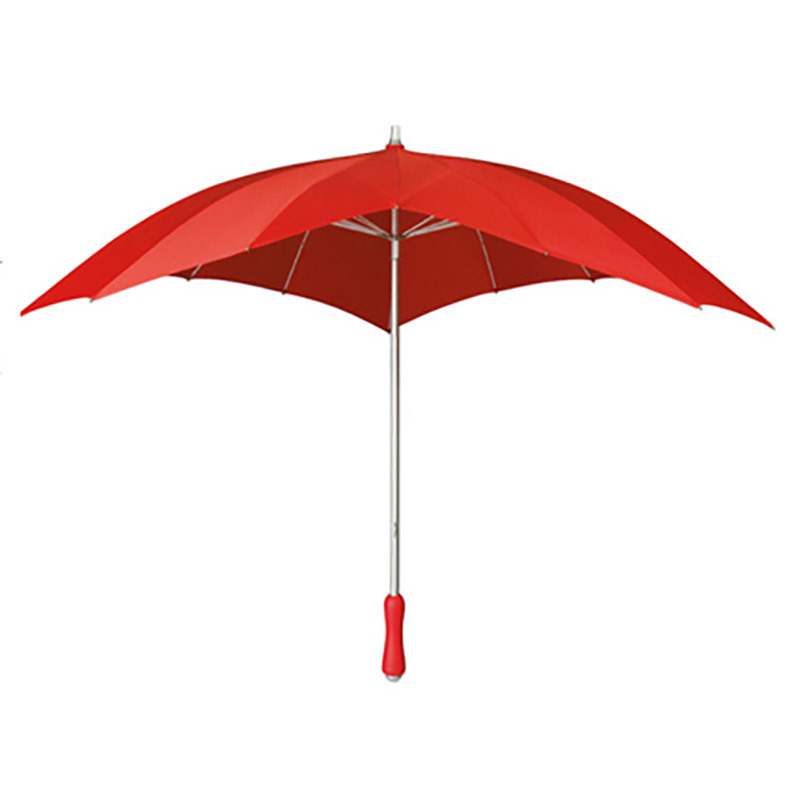 Protect the one you love – show you care by giving them one of these very special fashion umbrellas. The red Heart Umbrella really is perfect for Valentines Day, an anniversary or as a birthday or Christmas gift. Our gorgeous red heart umbrellas not only looks sensational, they’re totally windproof too! Pretty and practical! Approximately 88 cm from end to end. The canopy is big too at 110 cm wide and 100 cm front to back .They feature a very strong and lightweight 16 spoke fibreglass frame on a smart aluminium shaft with matching tip. 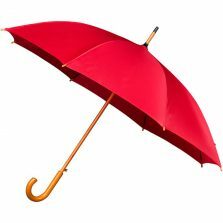 Traditional umbrella frames usually have 8 spokes, the red Heart umbrella has twice as many making the frame twice as strong! 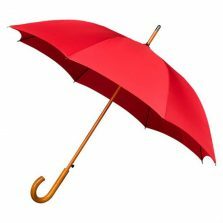 Red Heart Umbrellas – keep the rain at bay & look good too! The Heart Umbrella is actually available in twelve popular colours to match virtually any outfit. This original new design comes with a smooth, ergonomically designed matching rubber handle for comfort. Quality, style and simple good looks in one unique package – your loved one will know that you really care, even though he might prefer not to use it in public (only joking!). Despite the radically different shape, this heart umbrella is easy to operate thanks to the ergonomic and intuitive user interface (handle). Available colours include – Hot Pink, Red, Light Blue, Dark Blue, Black, Ivory, Soft Pink, Purple, Green, Orange and White. Please note: these are full length umbrellas, 88 cm long, not one of the compact ‘handbag’ sized umbrellas. 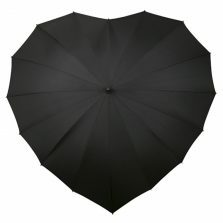 Check out the rest of our quality heart umbrella range!